This Amish handcrafted wood pizza cutting board is proudly made in the USA. You can cut your pizza on the wood board and then serve it from there as well. 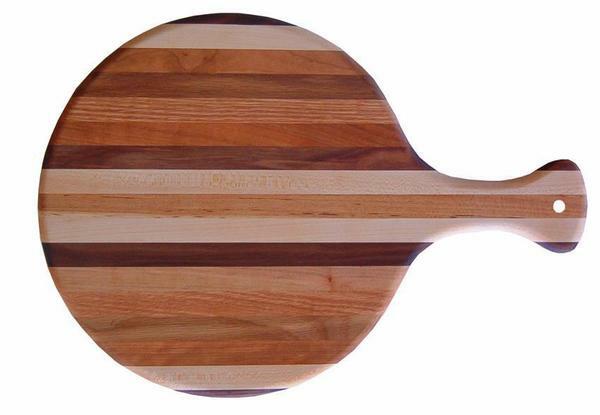 This pizza cutting board is in the shape of a paddle and is perfect for homemade pizzas. This pizza cutting board and service makes a great holiday or birthday gift for that lover of Italian food. 17.5" x 12.25" x 0.75"